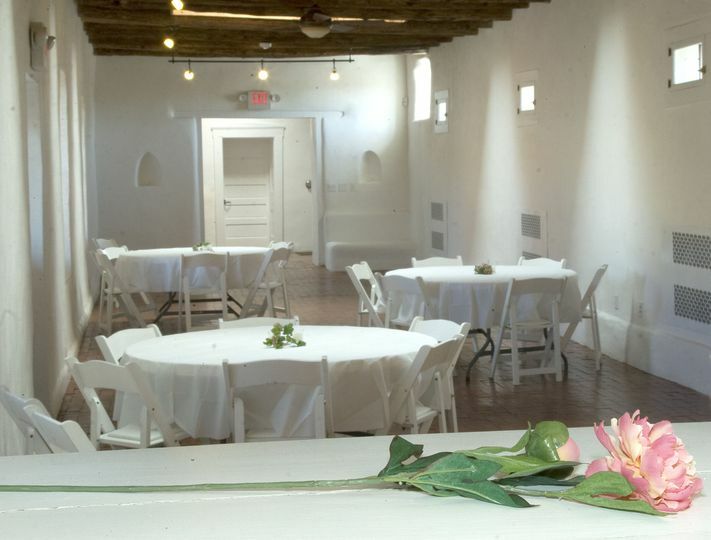 El Zocalo Event Center is a historic, 135-year-old convent that has been repurposed as an event center and wedding venue in Bernalillo, New Mexico. 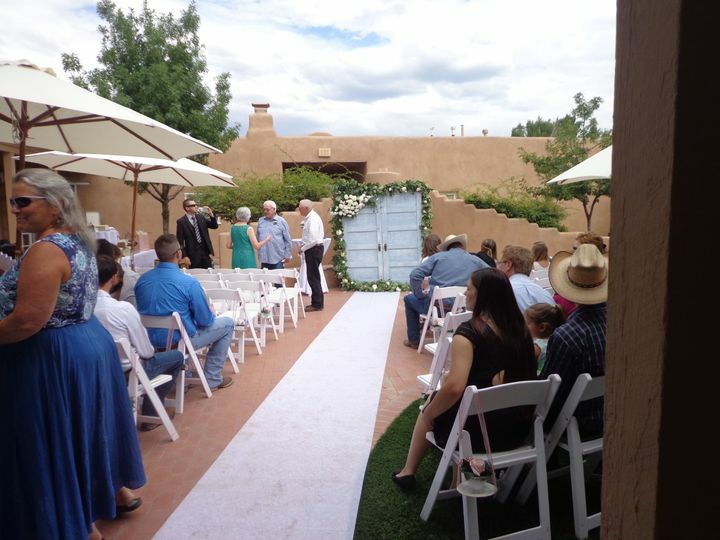 With its thick adobe walls and gorgeous courtyard, El Zocalo Event Center is a breathtaking, authentic venue option for your wedding day. El Zocalo Event Center is a fully refurbished space and is completed with up-to-date amenities including Wi-Fi, a wireless PA system, and screen and projector equipment. El Zocalo Event Center offers almost 2,400 square feet of meeting space and can accommodate up to 175 people. 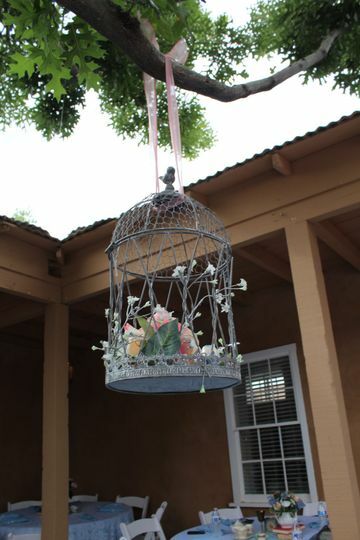 The courtyard has grass accents and beautiful fountains and the adjacent plaza will provide your guests with even more room to mingle and sip cocktails. 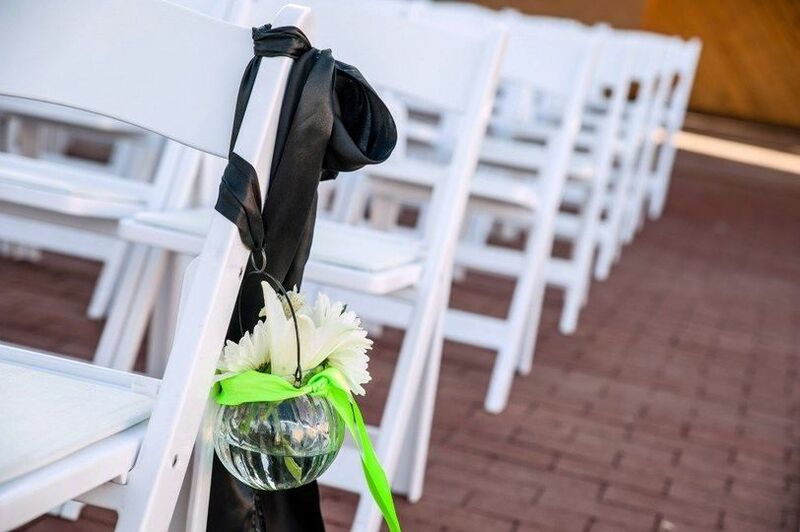 The plaza makes for a truly elegant setting for your wedding ceremony or reception. The outdoor space is also complete with an outdoor fireplace which a great touch for winter weddings. Additionally, the kitchen is convientielt located and makes serving a breeze for both you and the caterers. 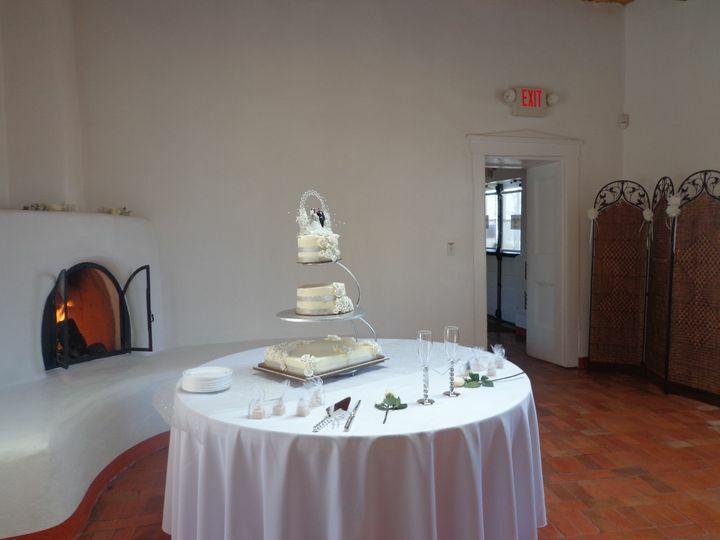 El Zocalo Event Center is a fantastic venue options complete with a rich history and a southwestern elegance. El Zocalo translates to "the meeting place,” which is exactly what this historic convent acted as when it was established in 1874. 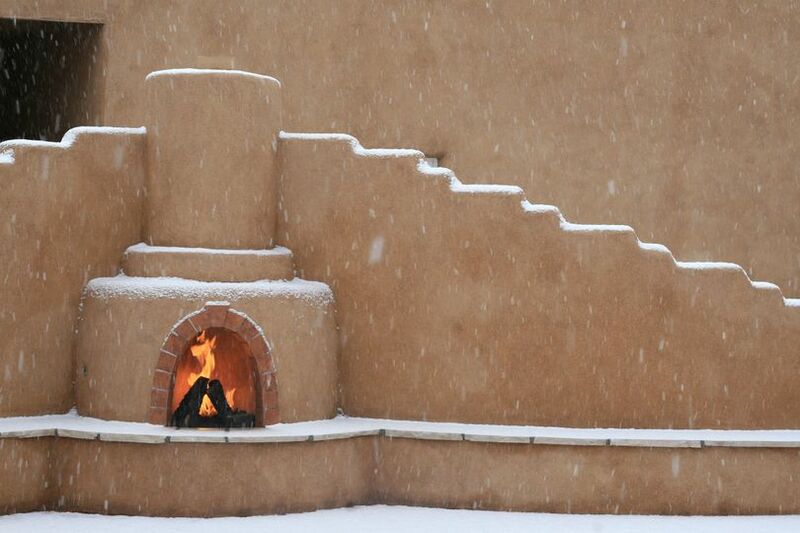 People in Bernalillo would come to El Zocalo to meet, learn, and exchange ideas. Today, El Zocalo Event Center acts as a similar space. This 1874 convent is listed on the National Register of Historic Places. The convent that is now El Zocalo Event Center was originally built on El Camino Real ("the Royal Road") for easy access to the people living, working and traveling by. For 300 years, this road was the Southwest's main road for travelers. Today, this 1874 convent is listed on the National Register of Historic Places and proudly hosts a variety of events year round. 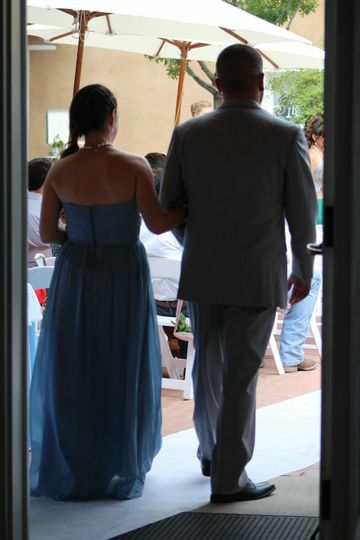 El Zocalo was the easiest venue to talk to and they were excited to have our wedding at their wonderful location. We thought the simple, beautiful background of El Zocalo fit our needs perfectly. I would recommend that if you are doing an evening wedding to set up a string of lights or two, we did 2 sets that were 100 ft long and it worked PERFECTLY. 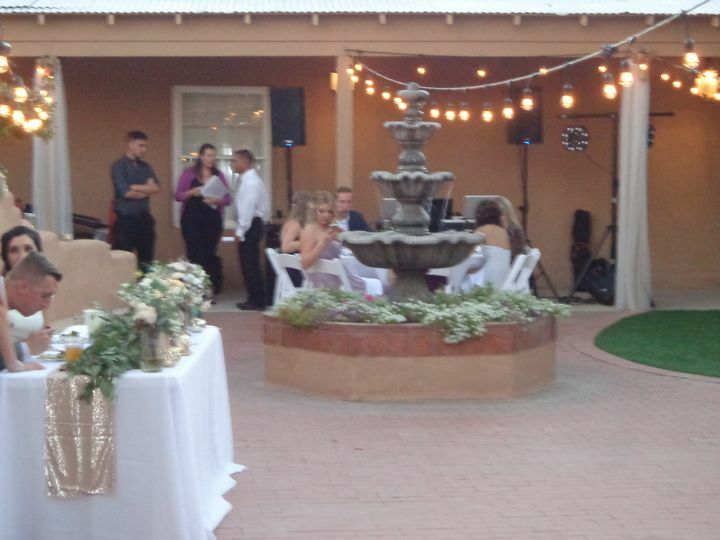 The venue was loved by all of our guests, they had PLENTY of room for our catering, our guests, the DJ and even a room for the bridal party to get ready in. I would recommend this venue for weddings and other events :) The staff was amazing! We had the ceremony AND the reception in ONE location, which made our guests day and my day much easier. I had my wedding here in October 2016, and it was perfect! The staff was professional, the area was clean. The price was great! Every new idea we had was met with, "Absolutely! We can do that!". Rudy and the entire staff made good on all of there promises to us and then some. Plus, the facility is beautiful.